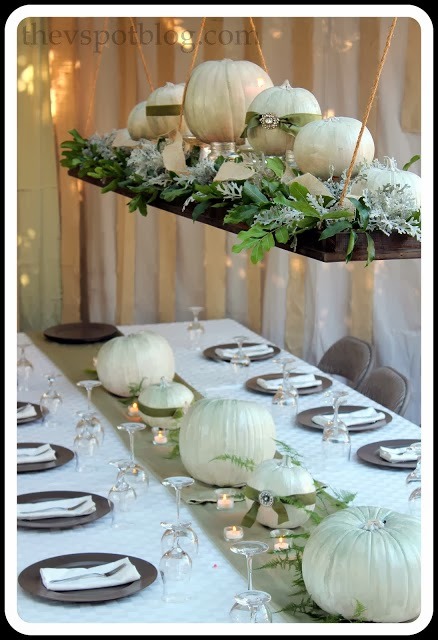 I loved the hanging centerpiece and the white, beribboned pumpkins with just a touch of bling. 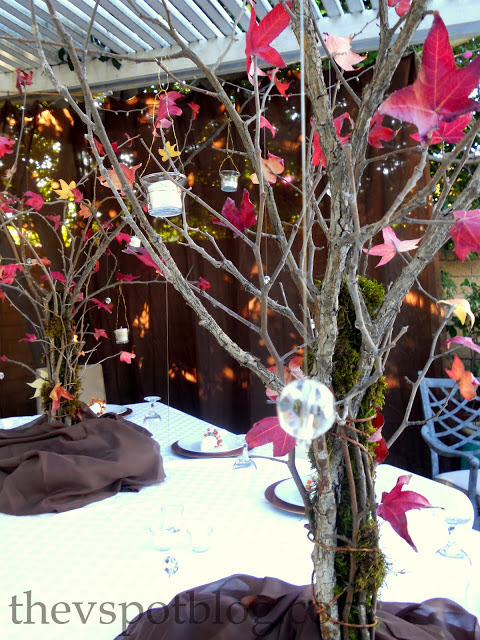 A few years ago I gathered lots of sticks and branches and did this trio of tall centerpieces, full of crystals and fall leaves. 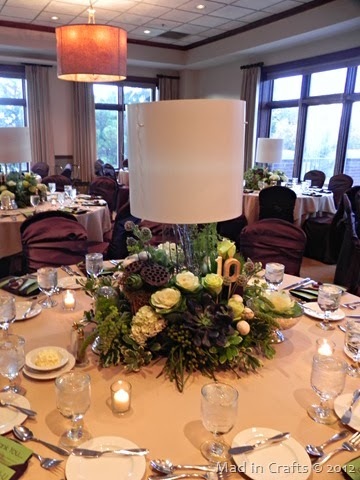 Jessica at Mad In Crafts attended a gorgeous wedding where there were lots of rustic elements and a beautiful green and brown color palette. Don’t ever get hung up on the concept of “oh this is for a wedding, and I’m decorating for Thanksgiving…” etc. Take elements that you like and create something beautiful and unique. Be sure to check out the other photos in Jessica’s post for lots of ideas. 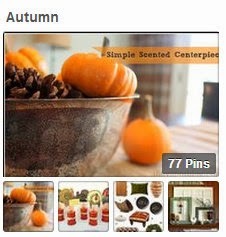 …as well as going through my board for all things Autumn. Do you host Thanksgiving? 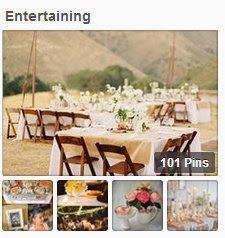 Have a Pinterest board I should be following? Please leave me a comment with the link to it and I will check it out.